COLUMBUS, Ohio, Nov. 30, 2017 /PRNewswire/ -- Global sports entertainment leader Topgolf® officially broke ground in Columbus, which will be its second location planned in Ohio. Topgolf has begun construction on the 65,000-square-foot venue, and it is expected to open to the public in fall 2018. Topgolf's economic impact in its local communities is remarkable, creating 500 full- and part-time jobs at each venue and serving as an anchor tenant that tends to attract other popular franchises to the area. In fact, its economic output in Columbus alone is expected to exceed $264.5 million over a 10-year-period, according to a third-party audit. "The success of our Cincinnati venue has paved the way for additional growth in Ohio," said Topgolf Chief Development Officer Chris Callaway. "With the strong economy and continued growth in Columbus, we are excited to bring our all-seasons venue to the area for the local community to enjoy." 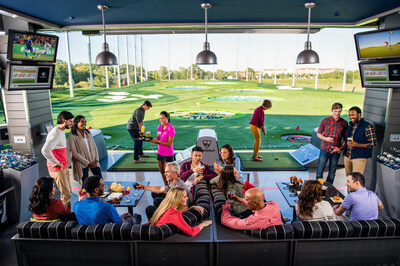 Since the opening of Topgolf's location in West Chester near Cincinnati last year, the venue has seen more than 500,000 visits and approximately 2,200 private events that range from corporate outtings, birthday parties and more. The new Topgolf venue will be located at 2000 IKEA Way in Columbus. Callaway estimates that Topgolf Columbus will serve approximately 450,000 visitors in its first year of operation. Approximately half of all Topgolf guests describe themselves as "non-golfers." Residents can track Topgolf's progress in Columbus at facebook.com/topgolfcolumbus and @Topgolf on Twitter and Instagram. What started with twin brothers developing a technology to make golf scoring fun, has turned into a global brand focused on connecting people in meaningful ways. Today, Topgolf continues to blend technology and entertainment, golfers and non-golfers, children and adults – to create an experience that makes socializing a sport for everyone. No matter the occasion or who you share it with, we believe every great time starts with play, is fueled by food and beverage, moved by music and made possible through community. Every Topgolf venue features dozens of high-tech, climate-controlled hitting bays for year-round comfort, a chef-inspired menu for year-round deliciousness and hundreds of Associates eager to help create the moments that matter. With 36 venues entertaining more than 10.5 million Guests annually, original content shows, next-gen simulator lounges, competitive tours, pop-up social experiences and the world's largest digital golf audience, Topgolf is truly everyone's game. 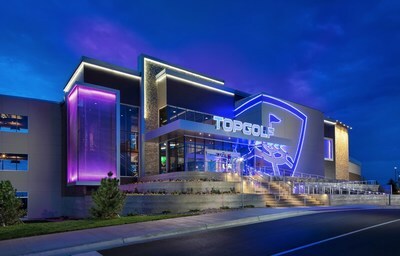 To learn more and view exclusive digital content, follow @Topgolf or visit www.topgolf.com.